I was thinking I was gluten-intolerant, but then the Internet exploded with articles claiming that "a group of proteins found in wheat can cause symptoms of such inflammatory health conditions as multiple sclerosis (MS), asthma and rheumatoid arthritis to worsen, and may also promote gluten sensitivity." I don't know how this new revelation is going to play out or what the new name for this condition is going to be, but as far as I'm concerned, I need to stay away from anything containing wheat and/or gluten in order for me to feel my best. 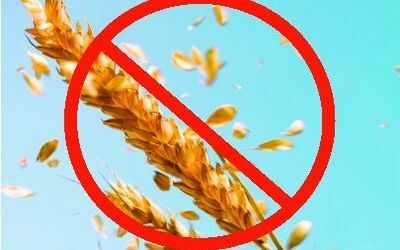 Recently, I decided to eliminate gluten (and therefore wheat) from my diet in an attempt to rid myself of an annoying, not so glamorous symptom that has been plaguing me for years - phlegm. That's right, every morning upon waking, I gracefully rose and let out a sound of an 80-year-old man trying to clear something dead from his throat. But, it wasn't even just the morning; this phlegm would stick with me throughout the entire day. Some days were worse than others and I could not figure out what the deal was! I knew that dairy was a big culprit in phlegm, but I have been vegan for years, so that was out. I reached out to the holistic community and it was suggested that I might be having an issue with dust mites; so I sealed my mattress and pillows in dust mite covers. No improvement. 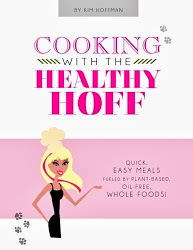 After talking with someone with a confirmed gluten allergy and realizing that we shared some of the same symptoms, I decided to try an elimination diet to see if gluten was in fact the cause of my "issues." I had done this once before, many years ago and didn't see any changes in my overall health, so I went back to eating gluten like a glutton, because I realized how much better food was with it. Back then, the gluten-free scene was bad and it was a real challenge to choke down any gluten-free products. But, that's all changed - now it's hard to tell if something is gluten-free or not - we've come a long way! After a few days on my elimination diet, I started seeing improvements, but not just with the phlegm, but also with what I thought were unrelated issues. The little chicken skin bumps on the back of my arms disappeared! Woo hoo smooth skin! A reoccurring rash that no doctor could accurately diagnose or treat, vanished! But, the most eye-opening symptom to resolve was my joint pain. I had long thought that this was just a perk of the MS, but then suddenly that too disappeared - completely! Wheat intolerance, gluten sensitivity, wheat protein allergy - I don't care what label you put on it, avoiding wheat and therefore gluten has helped me out tremendously! Sometimes resolving your issue can be as simple as trying an elimination diet. If nothing else, it's a good place to start.